First, happy VESAK DAY to all Buddhist friends and for the rest, enjoy the mid-week Public Holiday! Most of the time, "what's the kang tao*? ", "any kang tao?" texts/messages will be from them. To be frank, occasionally, I belongs to this type of retail investor too :-) Nothing wrong with that, I guess it's a quicker way to gather information/tips (whether the information/tip is valid or not is another issue). Of course, the Kang Tao Hunters will not take all information as face value, they will still do some "homework" to validate the information. *Kang Tao is Hokkien word for opportunities! When you have Kang Tao hunters, you need Kang Tao providers to close the gap. So, naturally the second type is Kang Tao Providers. They usually willingly provide their Kang Tao and feel good/proud about it, especially if they've done their super-duper in-depth due diligent. 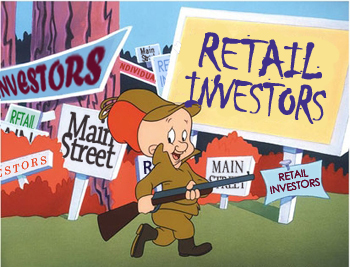 Many a time, this type of retail investor also fall under Type 3 (see below). The disclaimer-ers belong to the type whereby they will put a disclaimer in everything they said, especially in relation to some kang tao discussion. Either they have some bad experience OR they just want to make sure that their reputation are in-tact when the fact go against they view. In any case, nothing wrong to be "safe than sorry"! These are the type of retail investors hardly talk/chat but they will read/absorb the conversion quietly at the cosy corner of their office or home. Until one very bright moment, they will decide to say something along the line "Great view there", "Thanks for sharing" etc..
All other retail investors will like this type of buddy as they will provide a very detailed analysis of their view, be it macro-economy or specific stocks. It also means that, most of the time, they are the more seasoned retail investors and contributed the most in the conversation. Lots to learn from them! Oh! Did I missed out any other type(s)? Have another type! The wise who shares their life experiences (not limited to investing only).